Focused Ultrasound Techniques for the Small Animal Practitioner offers a highly practical guide to incorporating abbreviated ultrasound exams into the veterinary practice. Focused point-of-care exams are an effective way to quickly detect conditions and complications not readily apparent through the physical exam, laboratory diagnostics, or radiographic findings. Encompassing all the information needed to begin performing these techniques, Focused Ultrasound Techniques for the Small Animal Practitioner is a useful tool for improving patient outcomes in clinical practice. Covering focused exams in all body systems, the book also outlines the principles of interventional radiology, medical documentation, and the basic fundamentals of using an ultrasound machine. A companion website offers 87 video clips of AFAST, TFAST, and Vet Blue examinations with normal, abnormal, and incidental findings at www.wiley.com/go/lisciandro/ultrasound. 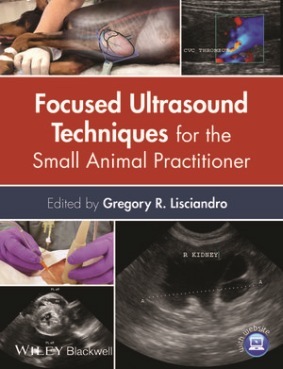 Focused Ultrasound Techniques for the Small Animal Practitioner is an essential purchase for veterinary practitioners and specialists wanting to implement these techniques in their veterinary practice.